Ace Plumbing was founded in 1970 by Roy Hill in Bournemouth. At that time we were one of the first companies in the UK to offer a true 24 hour Emergency Service for Plumbing, Heating and Drainage. The company grew rapidly during the 1970s under the management of Roy Hill's son-in-law Lee Smith and moved to new offices in Boscombe. Due to the success of our Bournemouth branch, in 1981 we opened our second branch, situated in Southampton. Here in Bournemouth we offer full Plumbing, Heating, Gas and Drainage Services and are a trusted contractor for many commercial companies in Dorset along with a very large number of private customers. In 2010 the running of the Bournemouth branch was taken over by long standing senior engineers, Daniel Cave and Andy Mills, who are committed to continue providing a reliable, friendly and cost effective solution for your plumbing needs. We offer free estimates on replacements and all our services have no call out charge. Our engineers are fully qualified in their respective fields and we are proud members of Gas Safe and the Chartered Institute of Plumbing and Heating (CIPHE). 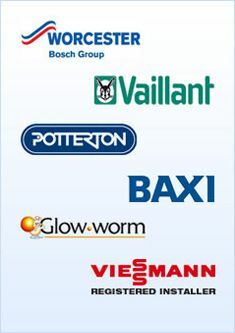 We continually strive to remain Dorset's leading maintenance / repair company by undertaking regular training with the leading boiler manufacturers.